It’s a big morning for Jordan updates. Not only have we received word that the classic Air Jordan 1 Mid “New Love” is coming back to retailers later this year, but a select group of Instagram notables have started posting the Air Jordan 5 “Red Suede” retro for July 1st, 2017. 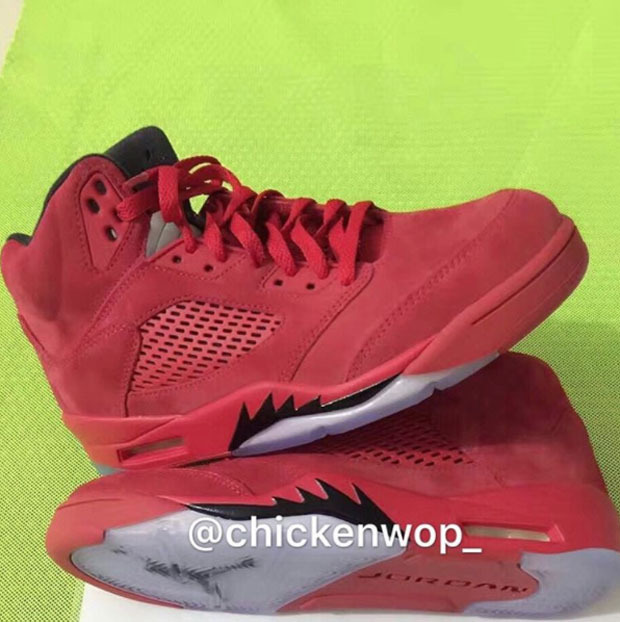 For the uninitiated, there was a premium-themed Air Jordan 5 offering that first appeared back in 2009’s “Raging Bull” Defining Moments Pack alongside an all reflective 3M colorway for just $310 USD. 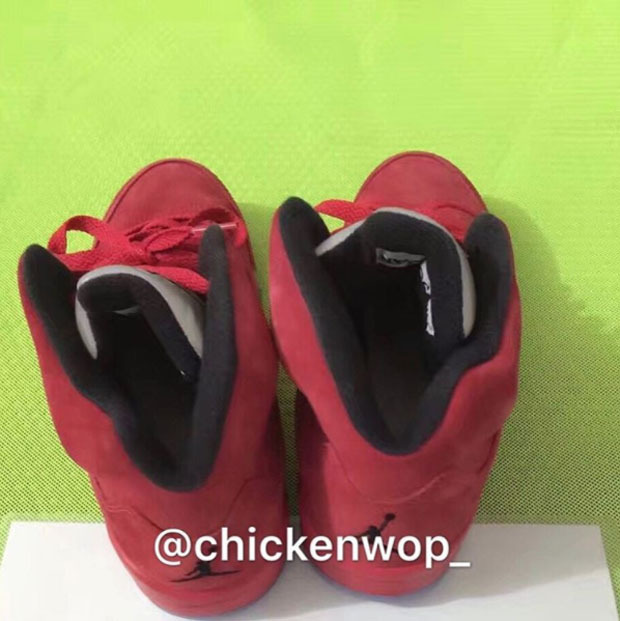 This pair posted earlier today features a decidedly different approach and comes equipped with the “Fire Pack” name meaning that there could be more colorways on the way. 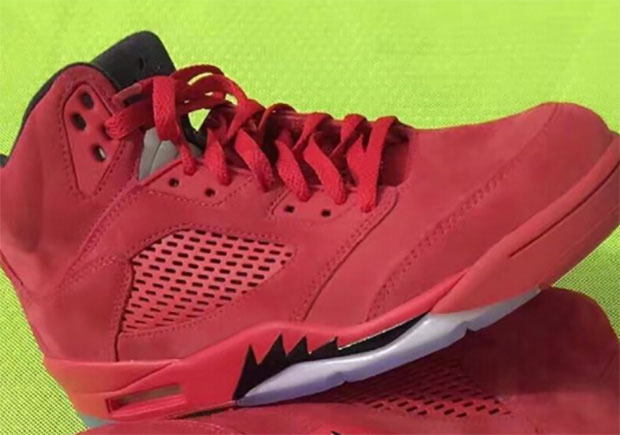 The Air Jordan 5 Red Suede features an updated red mesh ventilation cage on the side panel while a matching University Red midsole gets contrasting black shark teeth to coincide with an icy outsole unit. 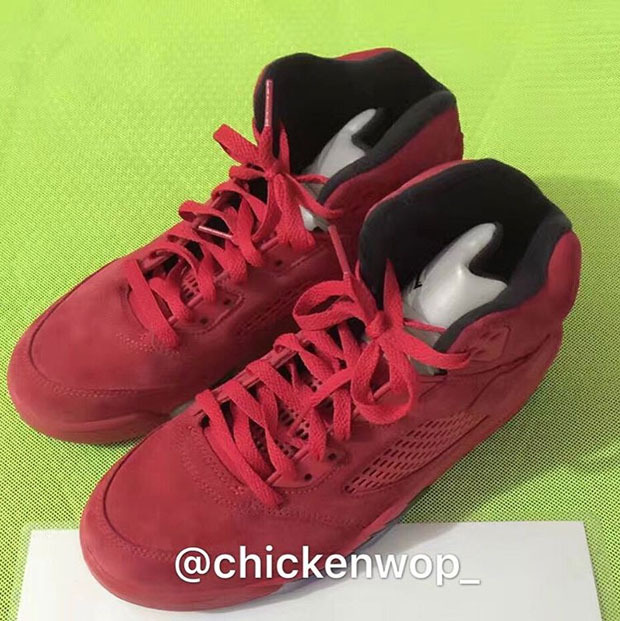 Traditionalists will love the fact that the reflective 3M tongue still remains, but for the most part, this is an almost all-red Air Jordan 5 option. What do you think of the look? 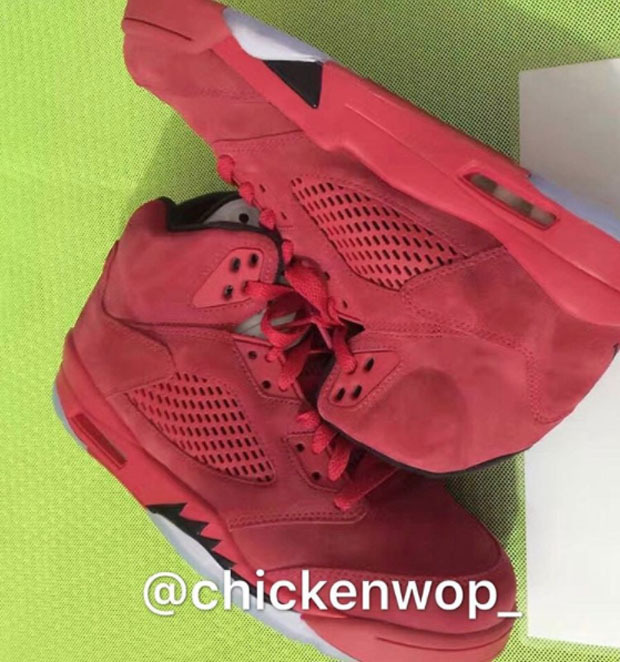 Check out more detailed shots below of this new Red Suede Jordan 5 and get ready for a release come July 1st, 2017. Stay tuned for more Air Jordan Release Dates right here on Sneaker News.